Essiac tea is a mild-tasting medicinal herbal tea that supports the immune system and nourishes the body. I drink Essiac herbal tea for 2 - 3 weeks a couple times a year to detox my body -- I feel "internally cleansed" and more energetic from drinking the tea! But Essiac tea is probably best known for its cancer fighting properties, and for its uses for other serious diseases. 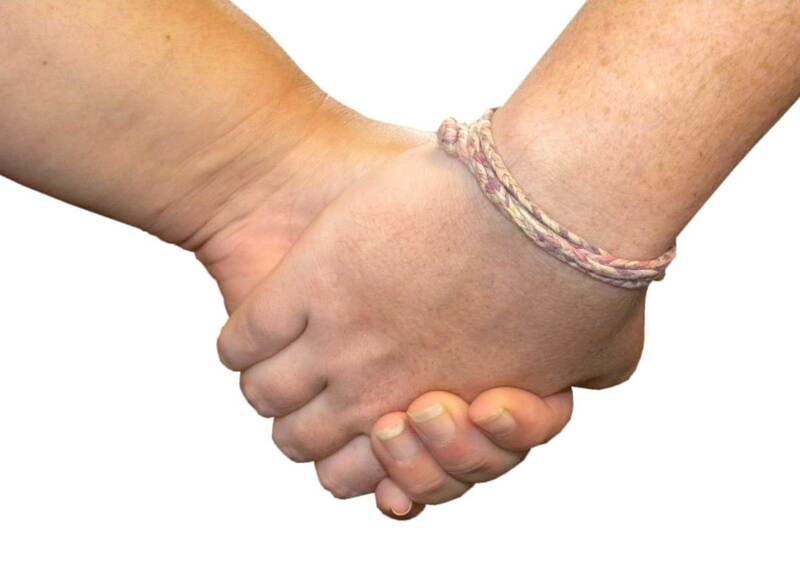 There are thousands of testimonials from people who believe Essiac has helped them recover from serious illnesses. The original Essiac tea formula was adopted from an Ojibwe recipe by a Canadian nurse, Rene Caisse (pronounced "reen case"), who named the tea by spelling her last name backward. The four herbs making up this original formula are all native to northern Ontario and have been used by Native Americans for their medicinal properties. 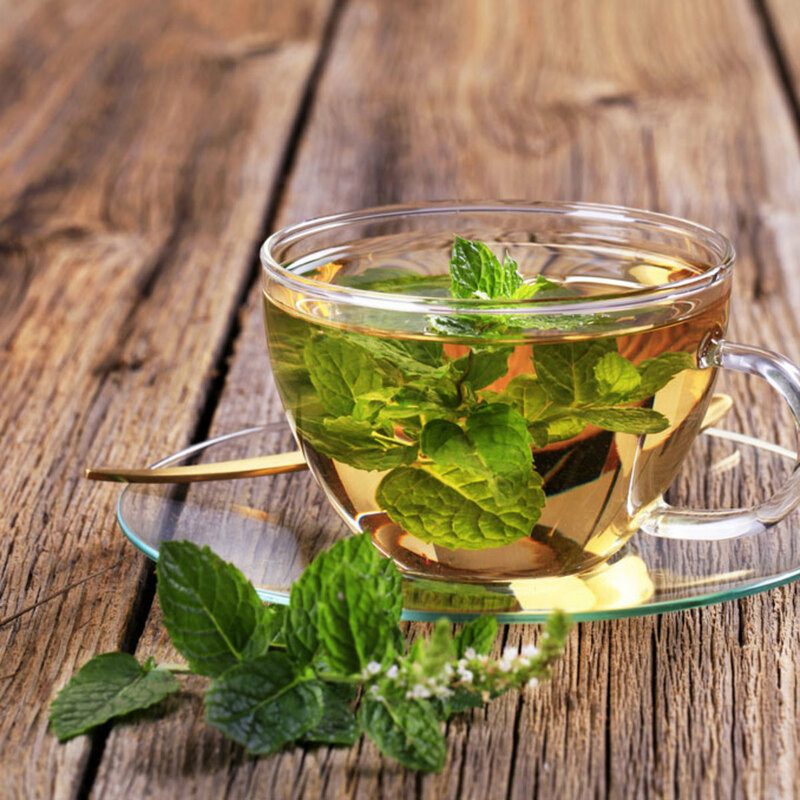 What herbs are in the original Essiac tea formula? Burdock root and sheep sorrel that are thought to destroy cancer cells, while the slippery elm and turkey rhubarb root help build up the immune system, and aid in detoxing the affected organ. Burdock root has traditionally been used as a blood purifier, removing toxic material from the blood. It promotes sweating (toxins sweated out), and is also a diuretic. It supports the liver, bladder, and kidneys. For more about burdock read Burdock Benefits Your Body. 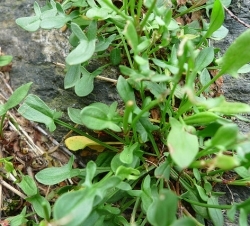 Sheep sorrel also supports the liver, bladder, and kidneys. Rene Caisse thought that sheep sorrel was the main Essiac herb that fought against metastasized cancer and reduced tumor size. 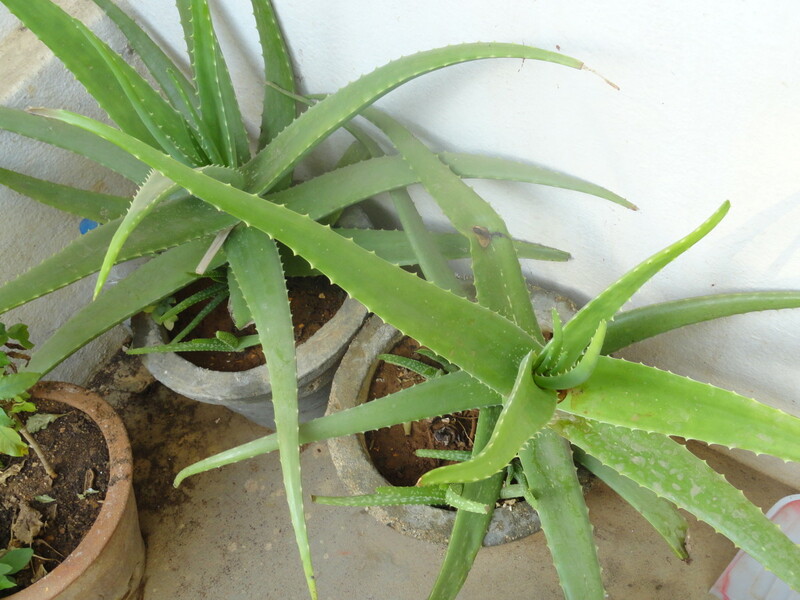 One of the compounds of sheep sorrel, aloe emodin, was shown to be effective in laboratory studies against leukemia cells. For more about sheep sorrel read Sheep Sorrel Benefits. Slippery elm is used as a soothing, healing remedy for sore throats, indigestion, and irritated skin. Turkey rhubarb is often used as a purgative -- it helps, with the addition of other herbs, to alleviate constipation. Have you tried Essiac tea, or do you know someone who has? I know someone who has tried it, but it doesn't seem to have done anything. I'm just trying to figure out what Essiac tea is! What are the benefits of drinking Essiac tea? Essiac tea helps to remove heavy metals and detoxify the body, boost energy levels and bolsters the immune system so that the body can more easily fight off disease and return to a more healthy state. We all come in contact with potential disease-producing bacteria and viruses, and we're all susceptible to developing health problems. But if our immune system is strong, we can avoid many of these health challenges or recover more quickly when we do become ill. Drinking Essiac tea is one method that can help us maintain a strong immune system. Those who use the tea range from people like me who drink it as a tonic to promote general good health and well-being, to people with serious illnesses like cancer or diabetes, in conjunction with whatever other treatments they and their health care providers decide upon. 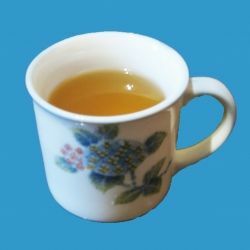 There are many sites online that give long lists of ailments that have been cured or alleviated by the use of Essiac tea. The long list of benefits may make it sound like one of those old-fashioned quack "miracle cures", but if you think about the underlying effects of Essiac tea -- of detoxifying the body and boosting the immune system, then it makes sense that the body can start to heal itself, no matter what the disease. Even when the body can't cure itself, people taking the tea do seem to have a better quality of life during the time remaining for them. 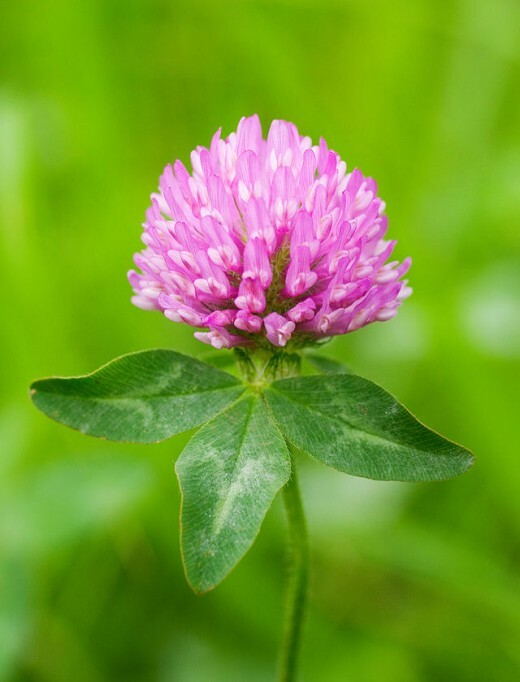 Red clover is a source of valuable nutrients, and is rich in isoflavones (water-soluble chemicals that act like estrogens and are found in many plants). These isoflavones are thought to prevent the growth of cancer cells. Kelp is also a source of many nutrients and minerals. It's a source of iodine, which is necessary for the healthy functioning of the thyroid gland. Low thyroid function decreases our energy. Blessed thistle is used for digestive problems. Water cress is high in Vitamin C. It's used as a general tonic, and perhaps inhibits the growth of certain harmful bacteria in the intestines. The most effective and cheapest way to use Essiac tea is to brew your own as a "decoction", which means you boil the herbs for a few minutes then steep them for a number of hours to extract the medicinal ingredients from the leaves. If you don't have the patience for this, then find a friend to help you out. In general, if you brew your own, you'd mix the correct mixture of herbs (usually bought together in a packet) in a gallon of water, boil for 10 minutes, let steep for 10 - 12 hours, re-heat almost to a boil, then bottle it. Some people strain the mixture before bottling, and some people keep the particulate residue with the liquid. The tea should be bottled in sterilized glass bottles, and not stored longer than two weeks. If you buy your own tea to brew, instructions will come with the packet. Here's a good link that tells how to brew your own. For occasional use, especially if you're using Essiac as a tonic and not for a serious illness, you may prefer to buy it pre-bottled (usually with a preservative added), or use tinctures or tablets. It's less effective than freshly brewed tea, but still gives benefits. 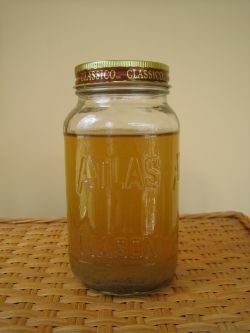 I've brewed my own tea most of the time, but have also used the pre-brewed, concentrated tea. Brew your own tea. This is recommended for the best effects. Convenient way to take the supplement. In general, Essiac tea, either brewed or as a tincture or tablet, is safe if you follow the dosage recommendations. However some side effects can include nausea and vomiting, constipation or diarrhea (depends on how much you've taken), headaches, and low blood sugar. Some of the individual herbs in the tea have been shown to cause liver or kidney damage if too much is used for too long. Some people may be allergic to some of the herbs in the mixture. Use your common sense when using! As with any supplement, follow the directions and stop taking if you feel any adverse effects. Some people may initially suffer from nausea or headaches as the body starts to detoxify. If this happens, reduce your intake for awhile. If you are seriously ill, please do get help and support from qualified health care professionals! More and more physicians are realizing that alternative or complementary methods can help support regular medical treatment in serious illnesses. Rene Caisse - "Canada's Cancer Nurse"
In the 1920s, Caisse was the head nurse at a hospital in northern Ontario. She met an elderly woman in the hospital, who said she had been cured of breast cancer 30 years earlier by following the recommendation of a Northern Ontario Ojibwe medicine man. He had shown her certain herbs and told her to make a tea of these herbs and drink it every day. Caisse wrote down the names of the herbs for future study. About a year later, Caisse was visiting a retired doctor, and he pointed to a weed in his garden, saying that if people would use that weed, there would be little or no cancer in the world. This weed was one of the herbs that the woman in the hospital had mentioned. Shortly after, Caisse's aunt was diagnosed with cancer of the stomach and liver, and was given a short time to live. Caisse got permission to give the herbs, as a tea, to her aunt. Her aunt lived for 21 years afterwards. Doctors began referring "hopeless" cancer patients to her, and she successfully treated patients for 25 years. She wouldn't give them the tea until she had a written diagnosis of cancer from the doctor. One of these patients included her mother, who was diagnosed with liver cancer and given a few days to live. Caisse administered the tea, and her mother lived for another 18 years. During these years, Caisse and the referring doctors began to notice that other ailments were also cured or improved while patients were drinking the tea, including diabetes. "I Was Canada's Cancer Nurse"
Read I was Canada's Cancer Nurse for a long but fascinating compilation of accounts of Rene Caisse's experiences of using this tea with patients. Rene Caisse -- Essiac Tea: Cancer Cure? 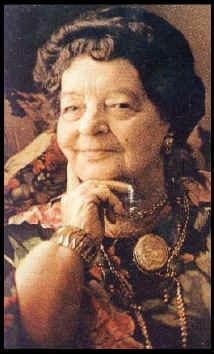 This was filmed in the 1970s, and includes an interview with Rene Caisse when she was in her 80's, talking about her experience treating people with cancer. Buy packets to brew your own tea, or buy pre-brewed tea, or tinctures or tablets. Here are a couple of good books written about Essiac tea that include information about Rene Caisse's discovery of the mixture of herbs, the battles she had with the medical establishment about the legalities of using the tea to treat patients, as well as the number of uses the tea has been used for. There are many books and online resources that give the history of Essiac tea, and list its properties and uses. Many of the sites have very similar info, and many are sales sites. But there are also a few good even-handed sites that just give the information. The following are the sources that I used most for this page. Rene Caisse: "I was Canada's Cancer Nurse"
Have you tried Essiac tea? Do you know someone who has? I made this tea for my mother. She drank it for at least 3 years & she was cured from non Hodkins Lymphoma. She could only tolerate 3 treatments of Chemo because it zapped her, but she continued drinking the tea twice a day. @Charito1962: I enjoy Chinese tea also. My youngest sister drinks tea a lot. I only drink it in a Chinese restaurant. Maybe I should take it more often. @TerriCarr: I'm starting my yearly spring-time Essiac "consumption" soon, for immune-support. I have heard amazing things about this tea. @tamjo5: I'm sorry to hear that your mother has breast cancer! Best wishes to her and to you. Essiac tea can be very helpful with this of course, but also go with what she's most comfortable with. I have not tried Essiac tea. I will be looking into all this information you provided very closely for my mom who just found out she has breast cancer. Thank You! @CoolKarma: Glad you enjoyed this page! I lent out my copy of The Essiac Report awhile ago, and I think that's the last I've seen of it. I need to pick up another. Yes, I was introduced to it about 20 years ago and have a well thumbed copy of The Essiac Report by Richard Thomas. Your page is absolutely wonderful! I'd never heard of it, and it's impossible to find those ingredients where I live but what an interesting lens! Yes I do know people who have used Essiac tea with successful results. Thank you for an interesting lens. Very interesting read! Thanks for sharing! Blessed by a SquidAngel! I have purchased essiac. For family members. I have never tried this particular blend, but it sounds interesting :) Blessed! Excellent lens on Essiac tea. Very helpful information. Some really interesting information here. Some of the ingredients in the tea I had never even heard of before! 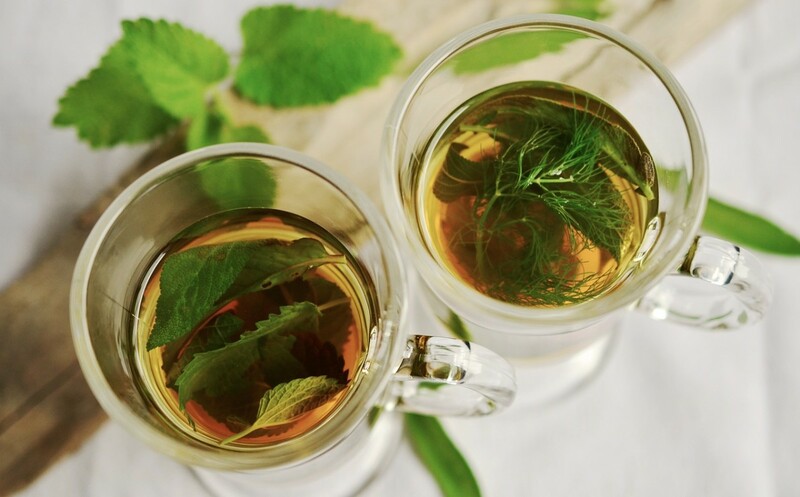 I had not heard of Essiac tea until I encountered this lens, although I have definitely heard of the individual herbs that go into it and was aware that many of them have potent medicinal properties. Thanks for sharing this info. @LadyJasmine LM: Thanks, LadyJasmine. It really is a great tea to support the body's functioning in general, and it can usually be used in conjunction with other therapies -- I hope it helps your friend. This is a GREAT lens :-)! My best friend has AIDS, so I'm always looking for natural medicinal ideas that help support the immune system. Thanks! I have heard of green tea but not Essiac tea, I will try to find this in Ayurvedic shops now. Thanks for the information. My father used it for some time. He had leukemia for many years. 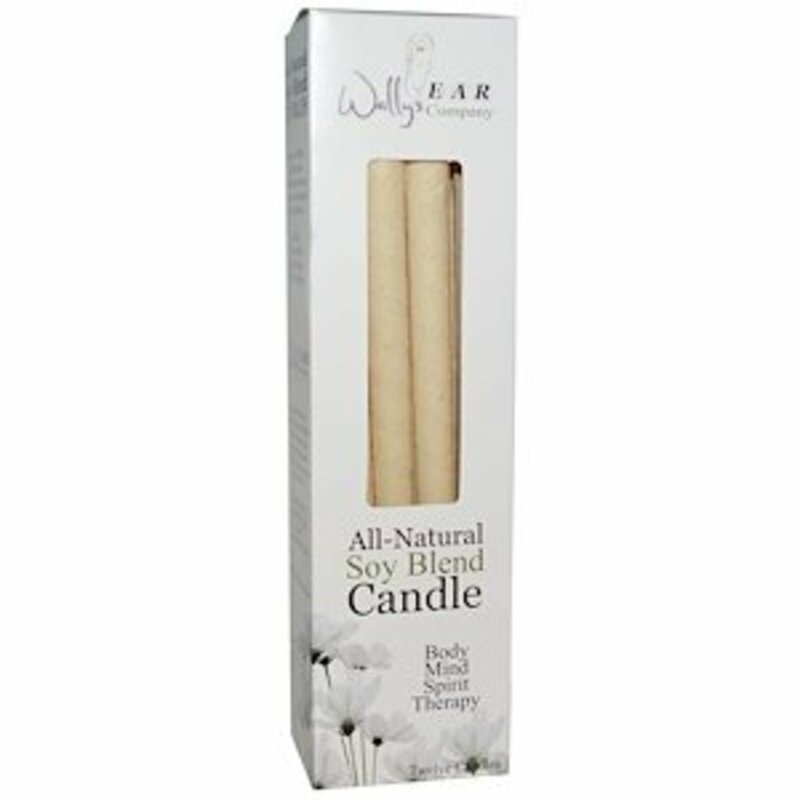 I was familiar with the name because I have ran across it at my health store, but was unsure what was the benefits. Thank you for the information. I've never heard of Essiac tea. Not till now from you. Thanks. I've been drinking Essiac Tea for awhile as part of my holistic cancer treatment. It's a great detox tool. My Mom brews it for me, which is extremely helpful. Love hearing about the Canadian Nurse, great story! Interesting lens. I've never heard of Essiac tea. @norma-holt: Thanks so much for your blessing! My theory is that each part of the world has its own native (or introduced and naturalized) plants with similar healing characteristics. It's just that the Essiac tea formula has been written about more than other formulas. Have never tried it. I am tempted, however. Do you think taking the tablets would have the same side effects? Blessed today by this Squid Angel. @burgessvillian: Hi Burgessvillian -- it's interesting that I JUST discovered Green Deane of "Eat the Weeds" a day or two before your comment. Good to know that you think he's a good source for info too. Let me know how the burdock and dandelion tea goes for you! I haven't tried the tea yet. I am letting burdock grow at the edge of my property and plan on making a tea out of it and dandelion. You should check out "Eat the Weeds" on Youtube. This guy is an expert on plants that are edible that we have been taught to think as not. great lens and thumbs up. This tea sounds amazing! I will have to see if I can seek some out. Thank you for sharing this really interesting information. @KarenTBTEN: It is definitely a good supportive measure for many serious illnesses! My father lived for 18 years with chronic leukemia, and essiac was one of the things he took for, I think, quite a few years. There were other things he took, as well. Glad you liked the info. There are places online to buy the tea BUT also if you have a health food store in your area, or Whole Foods, you'll probably be able to find it there. Never tried Essiac tea before. Thanks for the info . Will have to find out where to get it.